We are proud to offer Medico as one of our carriers. If you are looking for free quotes contact us at (800) 208-4974. Discover why you should work with us here. Medico Insurance is one of the leading insurance providers in the US. The company was initially established in 1930. At that time, they primarily dealt in, accident and health insurance. Over the years, the company has branched out to offer a range of other insurance products, including Medicare supplement plans. Around 1960, the company introduced insurance for seniors, which was several years before Medicare was introduced. It was in 1973 that the company started offering supplemental insurance for Medicare. Medico merged with American Enterprise in 2012 and Medico Corp was formed in 2014. They maintain an A- rating with A.M.s Best. Their Medicare supplement policies are insured under one of the following subsidiaries, Medico, Medico Health and Life orMedico Corp. Call us at (800) 208-4974 for a free quote! Medico has been known to keep the needs of its clients at the forefront and has constantly evolved to serve them in the best possible way. Their policies cover a wide range of costs and expenses that people have to incur when opting for top quality care at hospitals across the US. The most comprehensive of all Medicare Supplement Plans, Plan F is affordable and extensive. Under this plan, you get coverage for all Medicare-approved expenses that are not paid in full by Medicare. Medico is very competitive for Plan F in many states across the country. 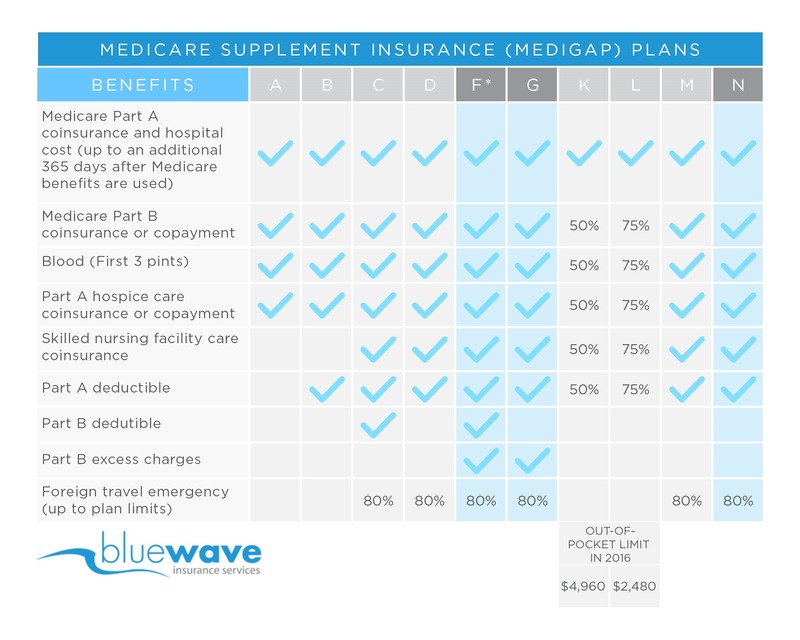 Plan G is the best option for Medicare Supplement insurance. Plan G is identical to Plan F, except for the Part B deductible. The Part B deductible is $185 in 2019. We recommend Plan G because it provides the most value vs Plan F.
The rates on Plan G tend to increase less over time. Read our full explanation here. 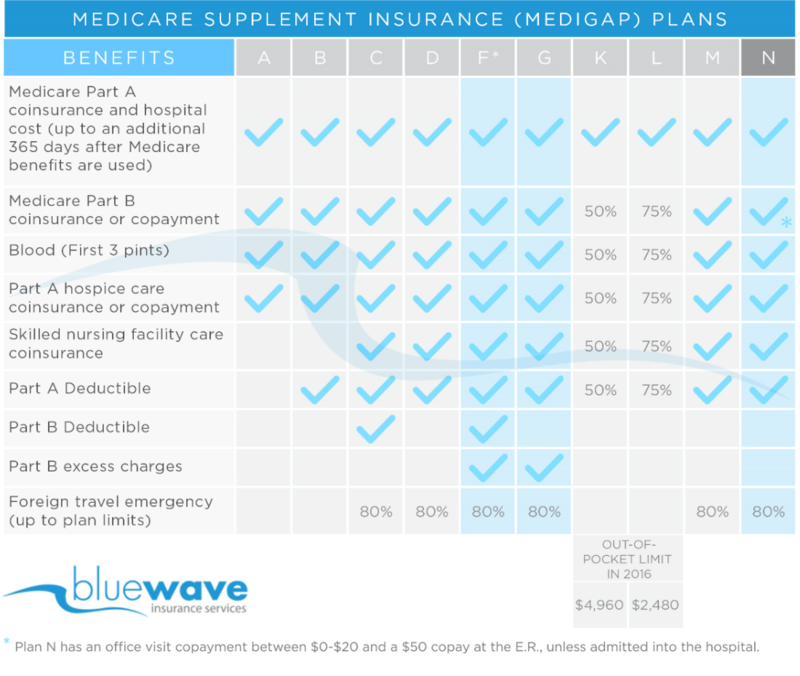 Medicare Supplement Plan N provides coverage for the Part A deductible as well as offering several benefits for basic coverage. You will have to bear some expenses if you opt for Plan N, including the Part B deductible. Also, you will have to pay around $50 if you visit an emergency room and co-pay $20 for a doctor’s visit. In addition, Part B excess charges are not covered. Overall, we recommend Medico to our clients for their Medicare Supplement Insurance. Medico is very competitive across the country and is especially good for folks who are changing from another carrier as they have very easy underwriting. For a free, quote comparison give us a call at (800) 208-4974. Why Work With Bluewave Insurance?